Last week I was unexpectedly given a plastic bag containing 13 boards with illustrations by my grandfather, Alex Stowell. Evidently these were intended for a children’s story, which was never published, and the text – if it ever existed – has been lost. 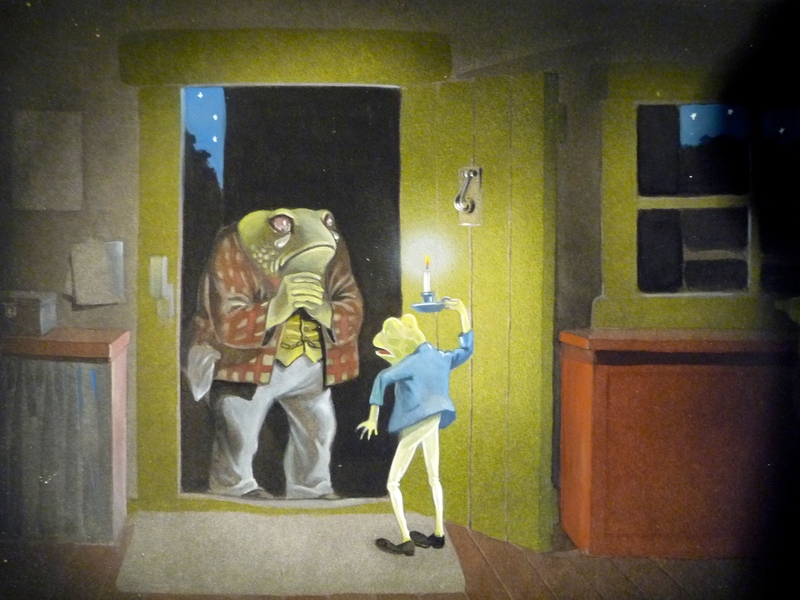 The pictures from The adventures of Jumper Frog, suggest a story in which Jumper Frog works as a cobbler for an oppressive toad, escapes the dangers of foxes and somehow turns the table on his toad boss. This is a really nice piece of family history. My grandfather died before I was ten, and I chiefly remember him as a witty man with a distinct Indian accent, as he spent his first 20 odd years in the sub-continent. 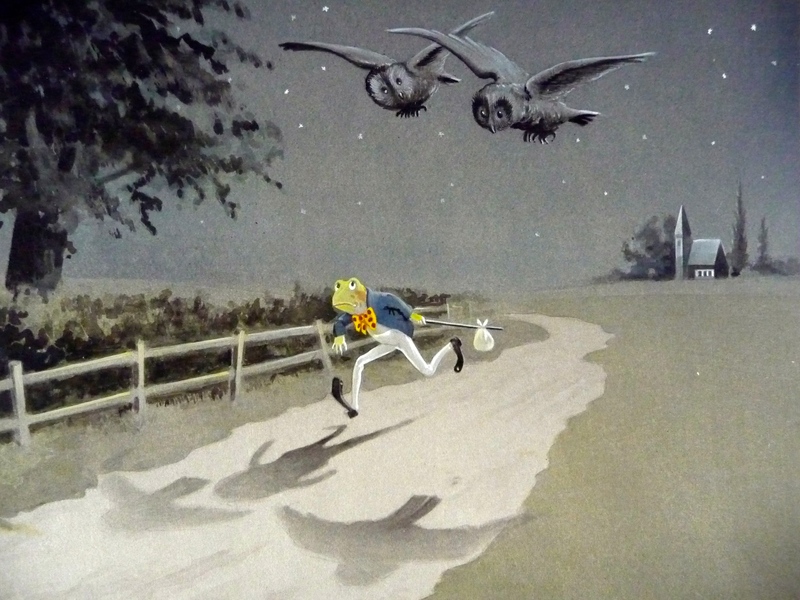 The illustrations for this book, however, are as English as The Wind in the Willows. While they may have their flaws, these pictures make me wonder about the literature and art that languishes in attics never to be seen. This entry was posted in Art and illustration, Family history and tagged Alex Stowell, family history, Jumper Frog, rediscovered art, The Wind in the Willows. Bookmark the permalink. What a wonderful story, Peter!